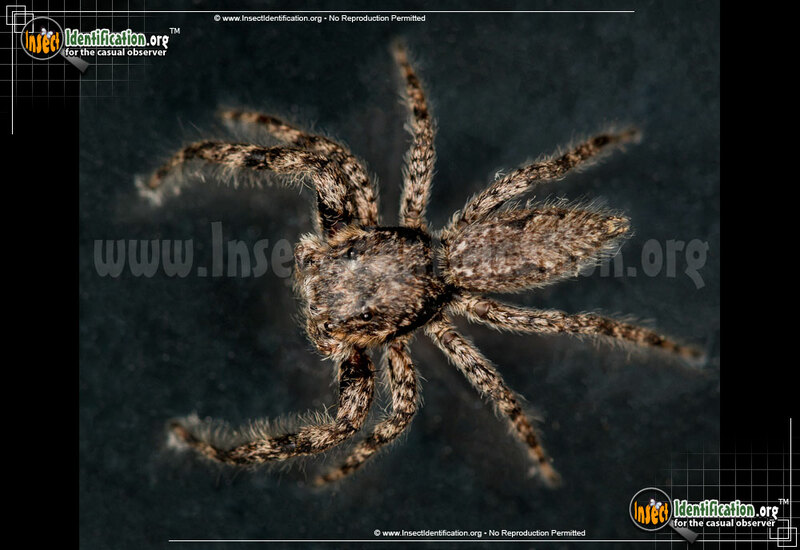 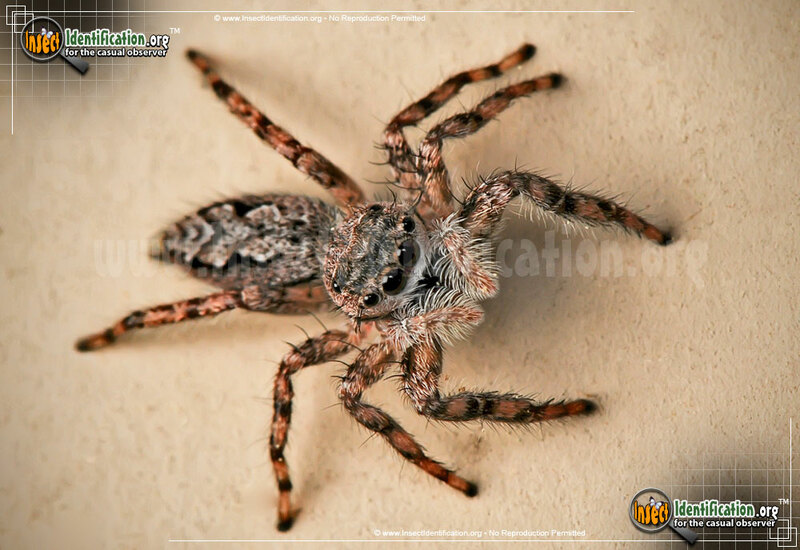 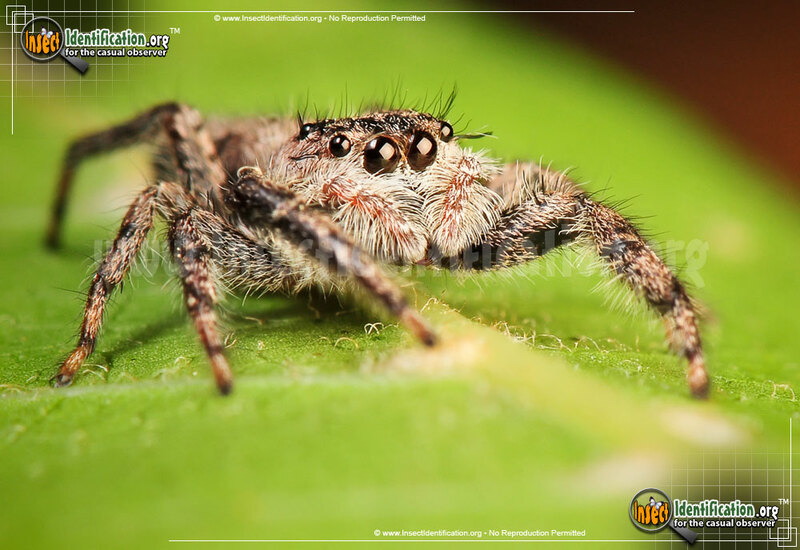 Detailing the physical features, habits, territorial reach and other identifying qualities of the Tan Jumping Spider. 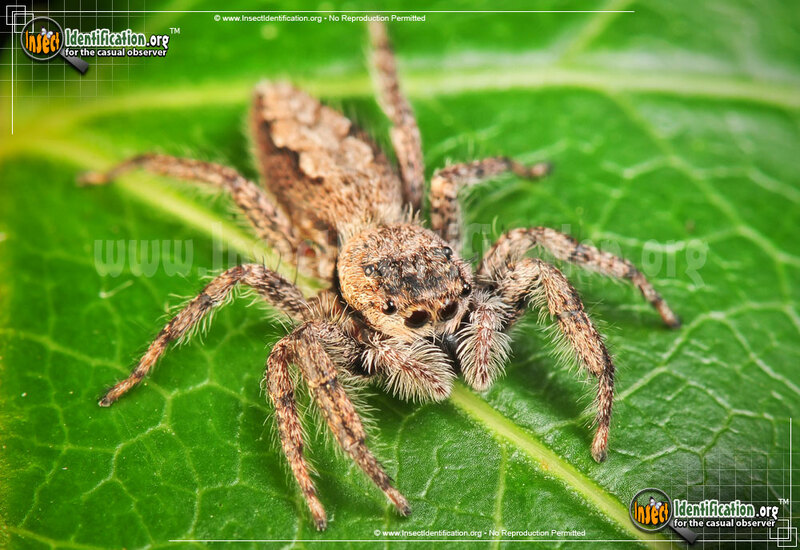 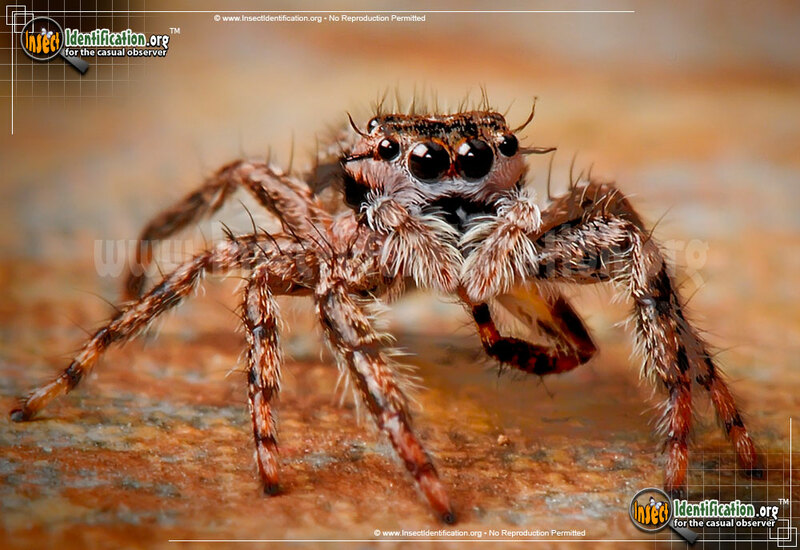 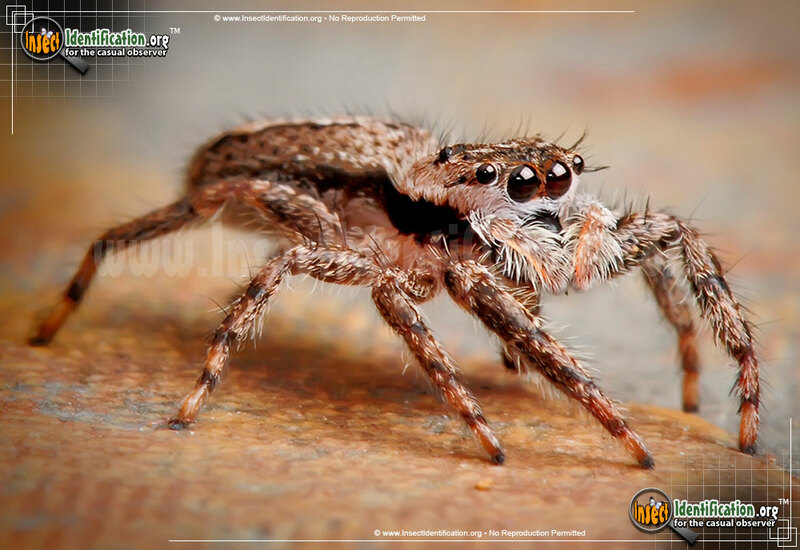 The small, but mighty Tan Jumping Spider can leap distances that cover more than 5 times its own body length. 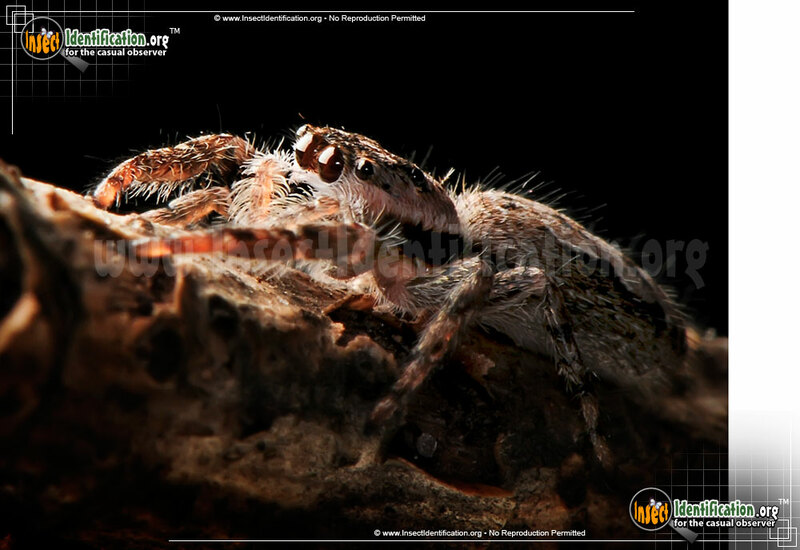 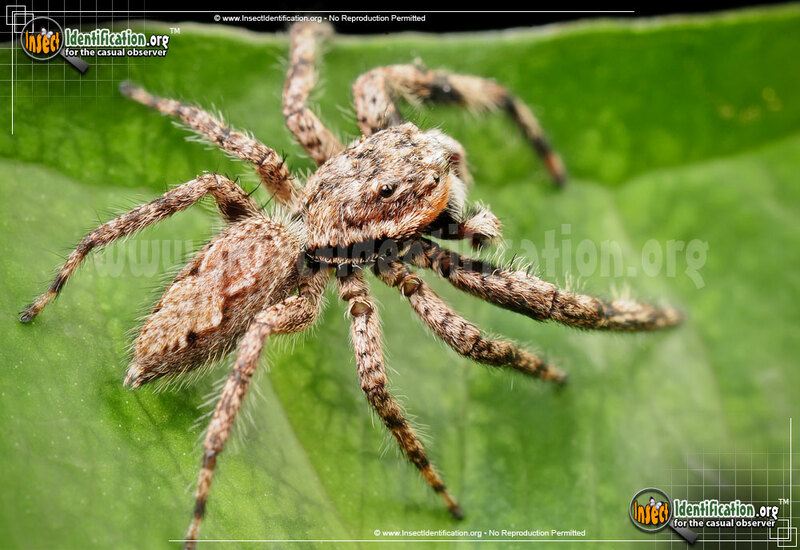 A member of Salticidae, this spider jumps to ambush its prey in lieu of creating webs to ensnare it. It is a fast runner and it pounces on top of the insect it plans to eat. As the Tan Jumping Spider leaps toward an insect, a strand of spider silk is shot at the target to keep it in tow should it escape. 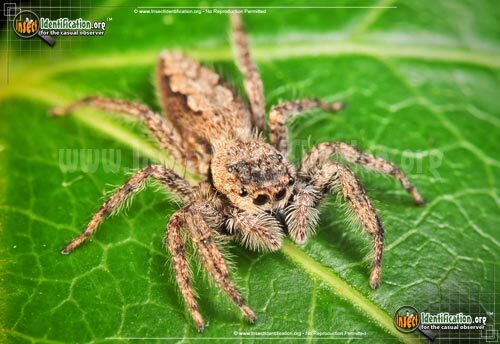 This strand is called a dragline. 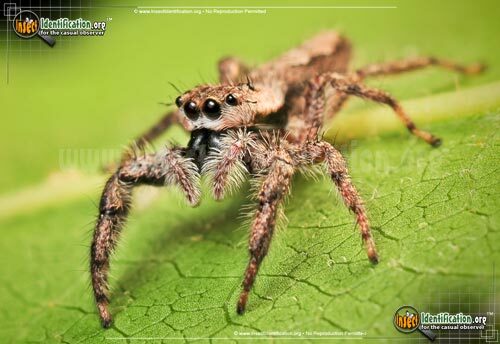 The spider also uses its spider silk to make a shelter out of dead leaves and other debris when it is not actively hunting. It is believed to overwinter and hibernate in large groups together until spring. The hairy, brown Tan Jumping Spider is known to be friendly when handled gently by humans, and it has a reputation for being curious about people. 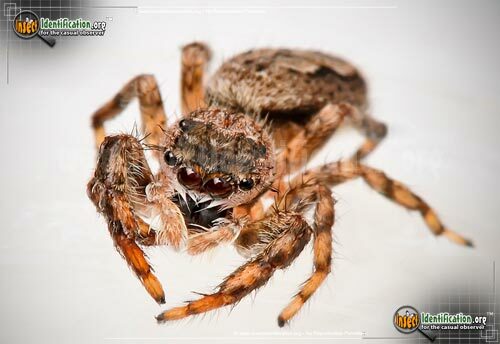 It is not inclined to bite, but may do so if handled roughly. 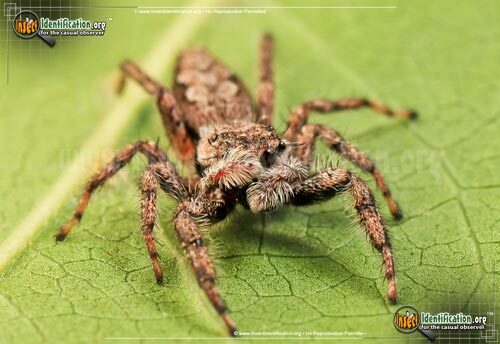 It has keen vision as far as spider sight is understood. 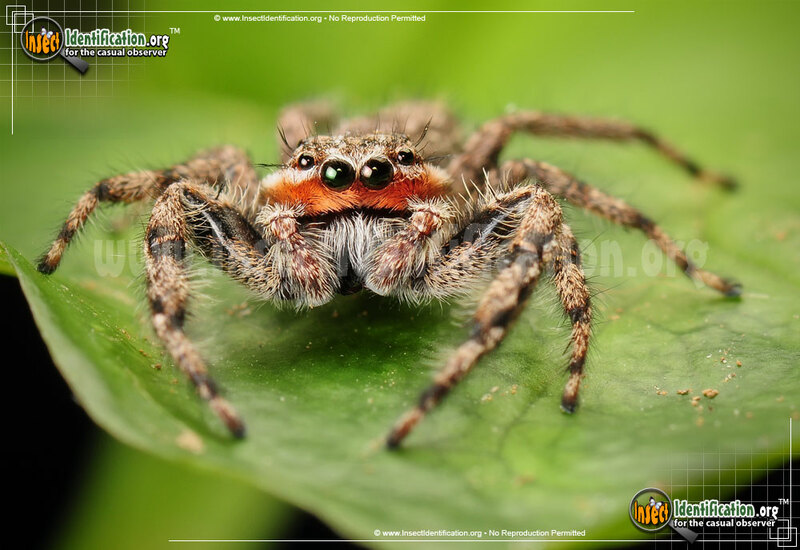 Tan Jumping Spiders often stare at people and approach them for a closer look if they feel safe enough to do so.